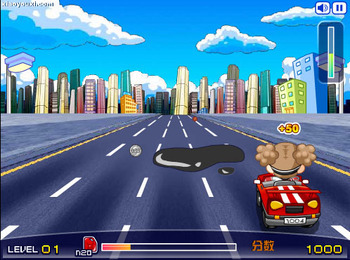 跑跑卡丁车 (“Kart Rider”, or “Crazy Racing”) is one of the most popular online games in China. It’s basically a variant on the Mario Kart formula, and comes from South Korea. At Icebin’s blog, via PostShow. Dude, that is no where near a variant of Mario Kart, not even close. More like a BAD rip-off of an old quarter arcade racing game from the 80’s. Dude, this is the stripped-down version which basically borrows the KartRider name. I assure you the non-Flash version is much more complex.